I found myself walking around in circles at the grocery store the other day. I was in the mood for meat but not a heavy steak and wanted some veggies but not the typical grilled veggies. I passed by the bell peppers and they looked too delicious to pass up! 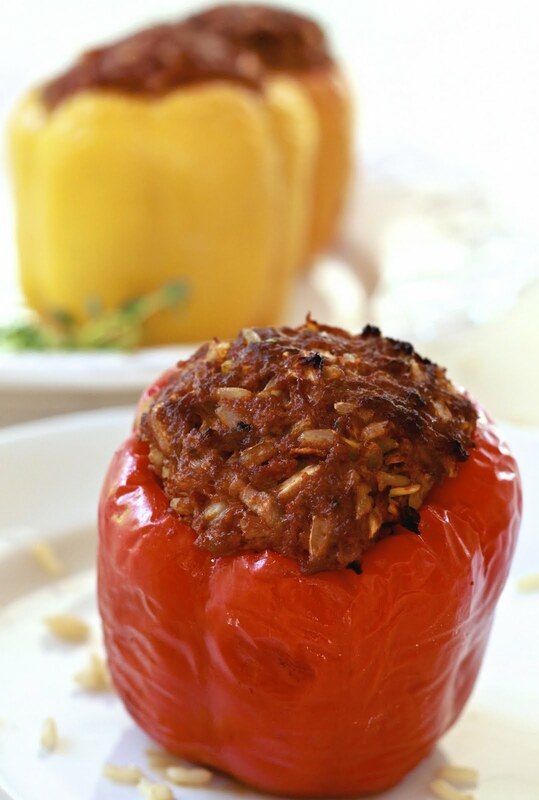 Stuffed peppers are so easy to whip up! Chop up some of your favorite spices and veggies, stuff it in a par-baked pepper and Voila you have delicious peppers! I added marjoram, thyme and oregano to my recipe since they compliment meat so well. Combine rice and broth together until it comes to a boil. Then reduce heat to a simmer and cook for about 40-50 minutes until thoroughly cooked. Set aside and let sit for 10 minutes. Mix all the ingredients (except the bell peppers) until thoroughly incorporated and set aside. In a large pot of boiling water, parboil the peppers until just tender, 2 to 3 minutes. Remove the peppers from heat and dry on paper towels. These look delicious! Found you on the making new friends bloghop, and am now a new follower! Great recipe! stopping by from "the adventures of j-man and miller bug" blog hop! im your newest follower! we would love for you to come check us out! www.christanncox.blogspot.com! Stopping by from the hop! I am your newest follower! These peppers look amazing! Gorgeous stuffed peppers. I make mine all veggie but only because that's the only recipe I have for them :) Thanks for sharing! this looks yummy. nice to know your blog. im following from the FNF hop. ive only stuffed peppers with cream cheese before and have never thought of stuffing them with meat! sounds delicious! i just love peppers. theyre so tastey and always add a nice pop of color to a meal. great recipe! Just found you through a blog hop and am following you now. Hope you'll check out my blog and follow back! These look amazing! I love stuffed peppers, and I'm hoping my pepper plants will flourish this summer so I will have lots of peppers on hand. Btw...your girls are beautiful! What a lucky mom you are! 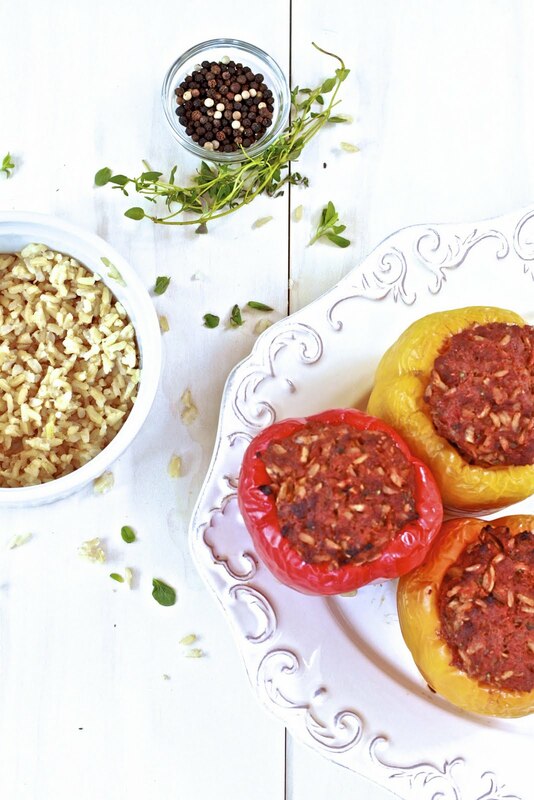 I LOVE stuffed peppers but never thought to do them with basmati rice! What a great idea and a mouthwatering recipe. Your photos are lovely, too! Thanks for sharing. I'm so glad to have found your beautiful blog and am going to check out more of your recipes!